The latest four models and three prototypes of our 1:16 series were exhibited at tokyobike Shoreditch in London, during the London Design Festival. 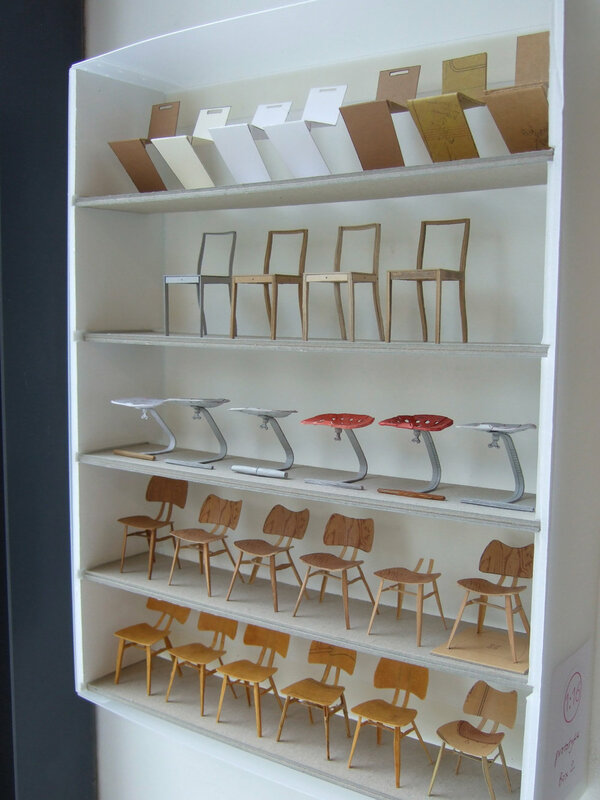 In this exhibition, chairs and interior models were displayed on a time-line, juxtaposed with the history of bicycle development. 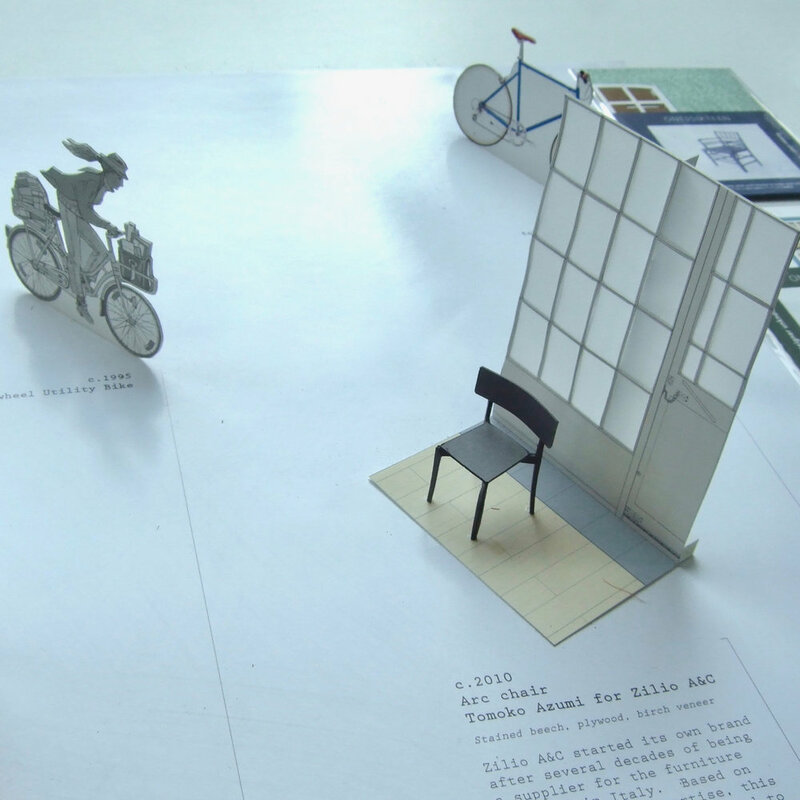 A brief 200 years history of the interior and bicycle design in paper models. Detail about the “Timeline”, please look here.